Rainey Kelly Campbell Roalfe/Y&R held onto the BBC ad account last week, ahead of stiff competition. Mark Roalfe, the chairman and executive creative director, looks back at his favourite ads by the agency for the corporation. This was one of our first pieces for the BBC. The trail was an acid trip through a medieval mind, set to Jimi Hendrix, played on a harpsichord and lute. This was a tough series that looked at the racial mix within the UK. The trail we developed was simple and hard hitting, where a face was made to disappear as protests were written across it. Our first Olympics, Beijing, it had to be great. Jamie Hewlett animated and Damon Albarn wrote the music, which resulted in the agency winning its first ever Bafta. To launch iPlayer in 2008 we fooled the nation that penguins could really fly on 1 April. David Attenborough even appeared on BBC Breakfast to help with the joke. It’s impossible to film these events before they happened, so once again animation came to our rescue, this time it picked up a gold at Cannes and our second Bafta. The brief was for a trail that showed off the breadth of Radio 2’s presenters. We came back with the idea of swapping all the presenters around for a day. It’s been such a success that the BBC now do it every year. 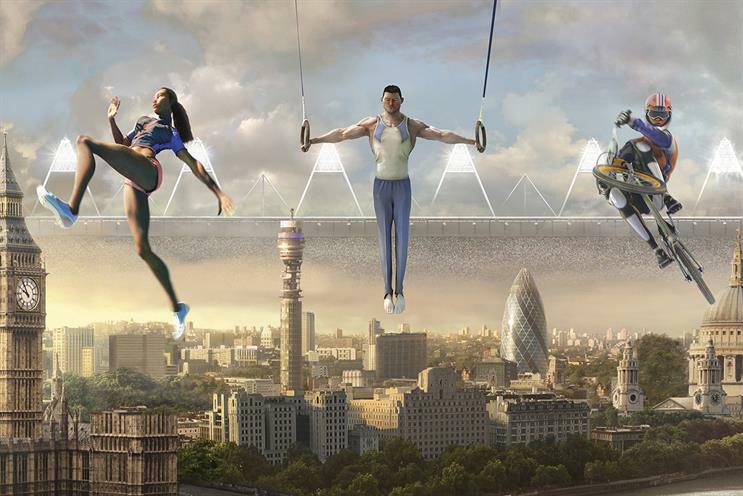 The agency really felt the responsibility of landing something amazing for this, so we enlisted the help of Pete Candeland who turned the whole of the UK into a stadium. Elbow supplied an anthemic sound track and we won a Pencil for animation. Sometimes your idea mustn’t get in the way of the strength of the programming. That was exactly what we tried to do here and it resulted in some powerful trails that Tom Hiddleston and John Simm presented. To celebrate 90 years of innovation at the BBC we meticulously stitched together a journey through the years using a mixture of old footage, new film and CGI. We were so pleased none of the joins showed. It was to be Sir David Attenborough’s last filmed broadcast on the BBC. We asked him to recite Louis Armstrong’s Wonderful World. His performance bought a lump to the nation's throat, and within hours was downloaded millions of times. Man verses nature brought to life with a mixture of live action and animation with a spine tingling voiceover from Charles Dance. The poem proved so popular that schools all over the country sent in their own versions of it. Sometimes content bundles are the hardest thing to do, so we turbo charged this one with words by Shakespeare and an incredible performance by Benedict Cumberbatch. Campaign revealed RKCR/Y&R had retained the account on Friday.